The big question on everyone’s mind, and ultimately the purpose of the ongoing public review, is whether or not hydraulic fracturing will be allowed as a means to tap the potentially vast amounts of oil trapped in the shale rock off the coast of Western Newfoundland. A year and half ago, the province’s Minister of Natural Resources announced that applications for petroleum exploration using hydraulic fracturing would not be accepted until the Newfoundland and Labrador government could complete a comprehensive review. After some initial controversy over the composition of the independent Panel, whose members were announced in October of 2014 (Dr. Ray Gosine (Chair), Dr. Graham Gagnon, Dr. Maurice Dusseault, Dr. Wade Locke and Dr. Kevin Keough), the Panel has quietly started work on the mandate given to it by the Minister. This mandate is focused only on the “potential impacts of hydraulic fracturing in oil and gas operations in Western Newfoundland”. It is not a review of the onshore oil and gas sector as whole. However, even with this limited mandate, the review touches on issues such as the protection of water quality, seismic concerns, waste management, regulatory oversight, and socio-economic impacts. We are just over six months into the review – halfway through the one year given to the Panel by the Minister. The anticipated next step will be the written submissions and public consultations. On April 15, 2015, the Panel announced that written submissions and requests for meetings could be submitted by email, mail or via the Panel’s website (www.nlhfrp.ca). The deadline imposed for written submissions and requests for meetings was 12pm on June 1, 2015. A schedule of all meetings, including the public consultations, will be made available after the written submissions and requests for meeting have been compiled. There has been some criticism that the public consultation locations are limited to Corner Brook and Stephenville. However, those who offer written submissions are entitled to request face-to-face or teleconference meetings with the Panel to discuss their submission in detail. This provides an opportunity for those who cannot attend the public consultations to still be heard by the Panel, no matter where they are located. The written submissions, meetings and public consultations are useful forums for both critics and supporters of the industry to make their thoughts known to the Panel. Commentators point to jurisdictions where fracking has transformed economies with little negative impact (North Dakota, Alberta, Texas) and jurisdictions that have taken a hard line and imposed moratoriums (Nova Scotia, New Brunswick). The geography and geology of the plays off the west coast make these analogies imperfect. The provincial government’s report, titled “The Green Point Shale of Western Newfoundland”, refers to the complex folded and faulted nature of the Green Point shale formation compared to the relatively horizontal nature of most other North American shale oil developments. This means that most of the over 200,000 wells that have been hydraulically fractured in Canada were carried out with respect to very different geology than is present off Western Newfoundland. This complexity is caused by the Green Point shale having been “folded, locally thrust over itself…. and cut by many large and small faults due to multiple tectonic events”. I imagine a neatly stacked pile of paper compared to a pile of papers where some are folded, crumpled or torn. 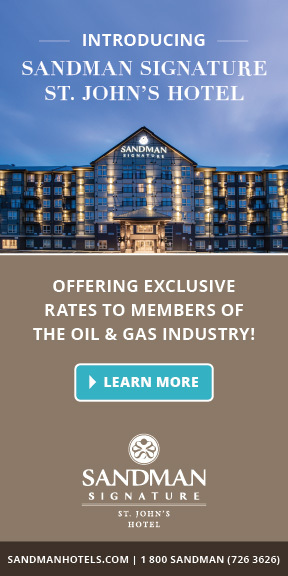 While this complex geology is not a reason to dismiss the development of what could be a transformative new industry for Western Newfoundland, it does make the ongoing independent review vitally important and much more than a public relations exercise, as some critics have described it. As an industry, we must engage with the Panel and provide our research, opinions, and perspectives to enable its members to make the most educated recommendation possible. Only then can we expect to move towards a managed shale development which is both sustainable and environmentally responsible. We eagerly await the Panel’s recommendation and, ultimately, the development of the Provincial government’s policies and regulations with respect to the use of hydraulic fracturing in oil and gas operations in Western Newfoundland. Conor Stack is an associate lawyer in the St. John’s office of Cox & Palmer practising in energy and natural resources, corporate commercial, and tax law. He can be reached at cstack@coxandpalmer.com.